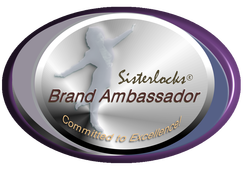 ​What is a Brand Ambassador? "Loc Care and Maintenance Specialists"
We are grateful for the opportunity to provide beautiful women from around the world with the freedom and peace-of-mind that comes with Sisterlocks. It is an absolute honor to be entrusted with the care of such a delicate and integral characteristic. We are so confident in our ability to provide you with quality results that our Sisterlocks Package comes with a 100% money-back guarantee! There is never a more suitable moment than now. Live every moment with love, peace, and acceptance of what is and you will forever reside in bliss.